WIN Big Over The Holidays! Happy Christmas from the PLT Team! Want to win big over the Holidays?� We�ve got you covered with mega competitions and killer prizes! 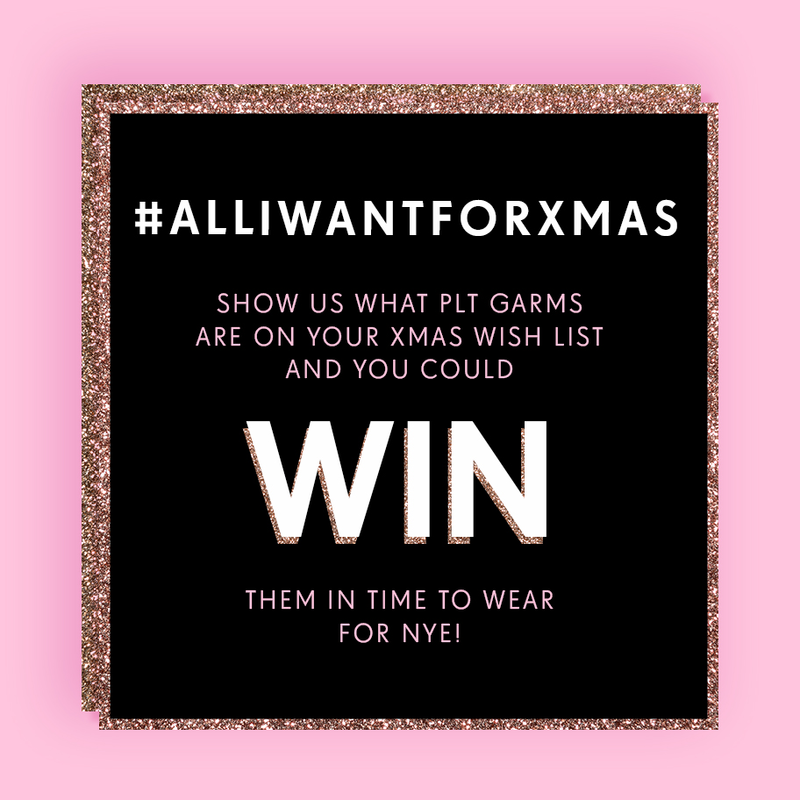 1 winner will be chosen at random and will win an item of their choice from PLT.�Winner will be notified via DM on Twitter and announced by�December 29, 2015.�By entering participant grants PrettyLittleThing free�license�to use participants image in marketing communication and on social media.�Entries which otherwise do not comply with the rules will be disqualified.�If the winner does not respond within 48 hours of notification, PrettyLittleThing reserve the right to re-allocate the prize. Items ordered from prize can be returned once and will be reordered up to the monetary voucher of the returned items. PrettyLittleThing reserve the right to cancel or alter at any time. 1� winner will be chosen and will win a style feature on our blog plus a �50 PLT voucher.�Winner will be notified via DM on Twitter or DM on Instagram and announced by�December 29, 2015.�By entering participant grants PrettyLittleThing free�license�to use participants image in marketing communication and on social media.�Entries which otherwise do not comply with the rules will be disqualified.�If the winner does not respond within 48 hours of notification, PrettyLittleThing reserve the right to re-allocate the prize. Code valid on all orders. Excludes sale purchases. 1 use per coupon. Code valid to 29/01/2016. Code must be entered at checkout to redeem. Due to the nature of our ordering system, voucher must be used in full, no change can be given, and voucher cannot be used in conjunction with any other promotion or code. Items bought using voucher can be returned once and will be replaced with a new voucher code to the monetary voucher of the returned items. PrettyLittleThing reserve the right to cancel or alter at any time.